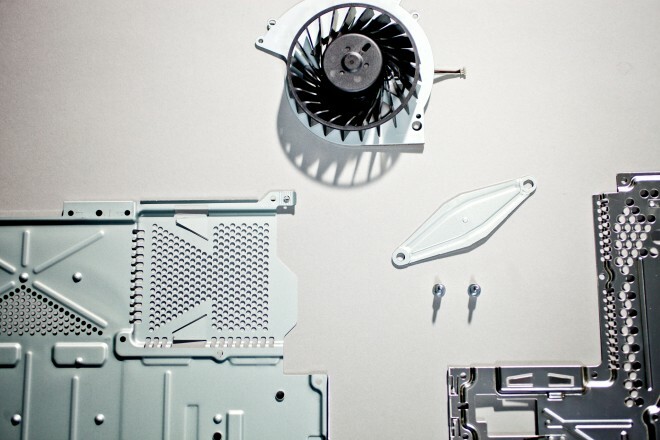 There's one week left until the PS4 launches, and now we finally get to see the innards of the PS4. It's a careful operation. Sony engineering Yasuhiro Ootori dons a pair of white gloves as he carefully dissects the PS4 for pictures and a video posted by Wired. 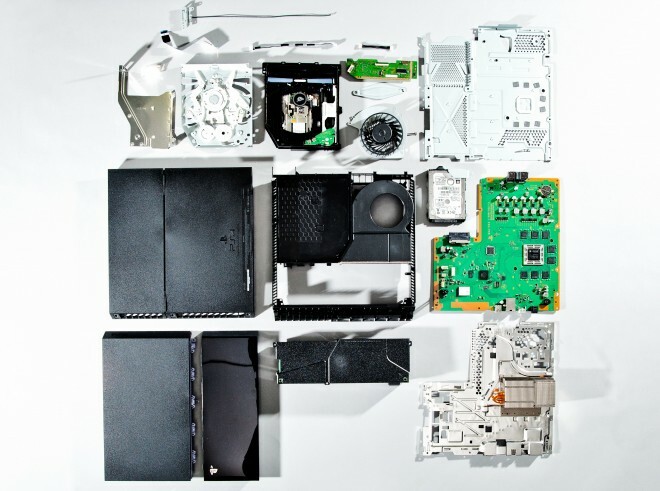 He reveals the inside of the PS4 for the first time. Four screws and two seals stand in the way of opening the next-generation console. Ootori mentions the seals are there to discourage people from dismantling the PS4, and judging by the broken seals, it will be obvious when the PS4 has been taken apart. With the lower part removed, you can see the fan and the optical disc drive. Next, Ootori removes the power supply unit. Next he removes the Bluetooth antenna, disc drive, and cover of the hard disk drive unit, which requires the unscrewing of only one screw. 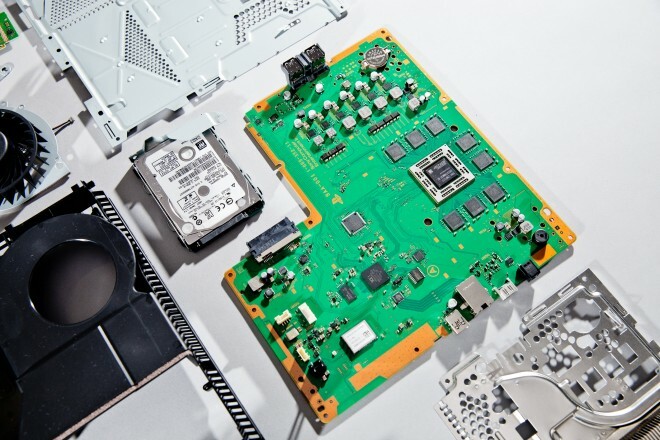 Ootori takes the PS4 apart further, revealing the motherboard. Ootori explains each part of the motherboard succinctly. Sony decided to use an x86 chip similar to processors used in personal computers instead of the PS3's complex Cell microprocessor. 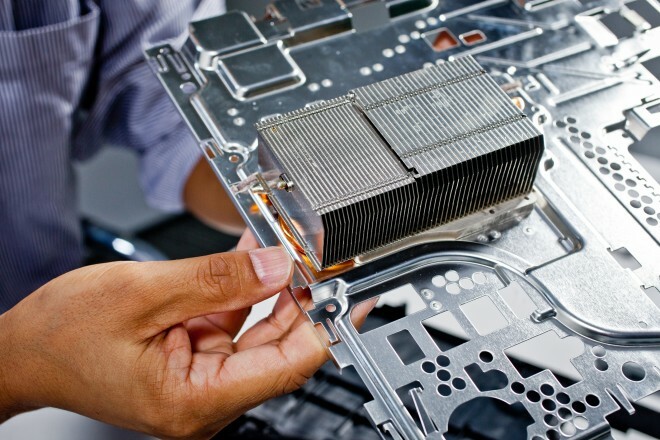 The PS4's x86 chip should make the lives of developers easier when building games. "Things have gotten a little more standard, in layman's terms," Chris Zimmerman, co-founder and director of development of Sony-owned Sucker Punch Productions. The designer is working on next-gen title InFAMOUS: Second Son. "The Sony hardware, historically, has been very quirky. If you were willing to put the effort in to take advantage of those quirks, you could do some incredible things, but there was a lot of effort involved to just get to the point of getting everything running. That's less the case with this [console] generation." Ootori lays the pieces out for display, and you can see the many pieces of the hardware that fit into the compact, black box of the PS4. I hope he had a great time putting it all back together.